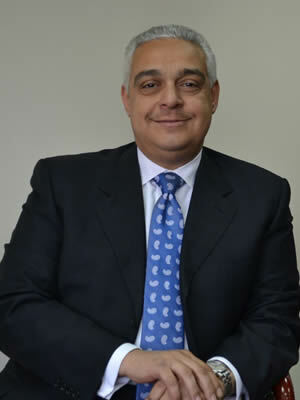 In December 2014, Yasser Elnaggar was appointed as Principal Deputy Minister of Planning, Monitoring and Administrative Reform, Arab Republic of Egypt. Mr. Elnaggar served as the “Overall Coordinator” for the Egypt Economic Development Conference (EEDC) that took place in Sharm Elsheikh during the period 13-15 March 2015. Prior to that, Mr. Elnaggar was the Deputy Chief of Mission for the Embassy of the Arab Republic of Egypt in Washington since 2010. During his time in Washington, Mr. Elnaggar played a leading role in the Embassy during the unfolding events of the 25th of January revolution and the 30th of June revolution. Mr. Elnaggar supervised the entire process of the first ever parliamentary election for Egyptian Expats in the United States, as well as subsequent presidential elections and referendum on the new constitution; he also organized bilateral visits of Egyptian officials including the visit of the President of the Arab republic of Egypt to New York in September 2014, the Prime Minister’s visit to Washington D.C. to participate in the US Africa leaders’ Summit in August 2014, as well as numerous visits of cabinet members to Washington DC, and visits of U.S. officials and business community members to Cairo. Mr. Elnaggar has over 20 years of diplomatic experience where he has held several posts such as: Senior Policy Adviser to the Presidents of the 61st and 64th sessions at the General Assembly of the United Nations, Director of the Department of United Nations Affairs at the Minister of Foreign Affairs in Egypt, Counselor at the permanent mission of Egypt to the United Nations in New York as well as Advisor to the Minister of Foreign Affairs of Egypt.